One of the most common misconceptions about diet is that people starve during dieting. The faster the you get past such narrow definitions, the better for you. Dieting is about eating right, not eating less! Once you’re on a diet, don’t be envious of the rest of the world. If you feel this way, you’re never going to eat healthy food with the right attitude. Dieting, after all, means eating healthy food as a matter of choice, not as punishment. When you treat dieting as a punishment, you never enjoy it nor do you get the best results from it. While you’re on a diet, every little thing counts, even certain activities that aren’t directly connected with your health and diet. So, if you’ve been walking around the block and if that makes you happy, continue to do so, because a positive frame of mind is a great facilitator in helping you lose weight. In your quest to lose weight, of course, you will need to concentrate on eating certain vegetables and fruits. But that’s only a part of the scene. The other part is exercising. 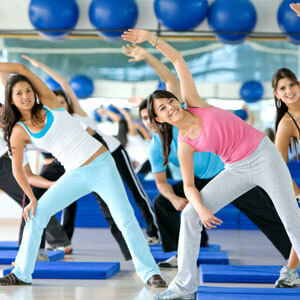 Look for the kind of exercise that you love to do best—be it aerobics, yoga, dancing, rowing or playing a sport. So, look at dieting as something you enjoy doing and believe that it’s a great and positive experience. This positive experience, if really enjoyed, can end up being your lifestyle mantra. Now, everything depends on you and your mental attitude. In the rare event that a certain diet program you’re on doesn’t give you the results it claims, don’t feel let down. Not all diets work for everyone, so don’t develop any lack of self-confidence because of this. To diet happily and get the most out of a diet program, you need to channelize not just your daily activities and eating habits but also your thoughts concerning food. Once you do this, incorporate it into your daily life and see the remarkable changes it brings. The Poison that is MSG!